As a bird photographer, I always prefer to see birds perched or flying against colorful backgrounds that accentuate their beauty. As beautiful as birds are, in bird photography that almost amounts to nothing if one does not take into consideration that it is in the hands of the photographer to bring birds to life thru carefully crafted images. I say this because to most people birds are a distant moving or sitting subjects. Many photographers go into a shooting spree when they see a bird, often not taking into consideration about the background behind it. By virtue of considering and practicing the following concepts, your bird images can go from looking ordinary to spectacular. Distracting objects in the background just look bad and draw focus away from the bird, essentially making it look ordinary. Get Creative With Depth of Field – Take into consideration that when using a telephoto lens, a large aperture will give you a shallow depth of field and throw the background out of focus. While a clean background is pleasing it can make your images look redundant and boring. It is ideal to use the DOF to your advantage and get creative. By closing down the aperture, essentially increasing the f-stop number you can introduce some amount of background with subtle and creative effect. A textured look with varied tones can be pleasing and can compliment the bird. 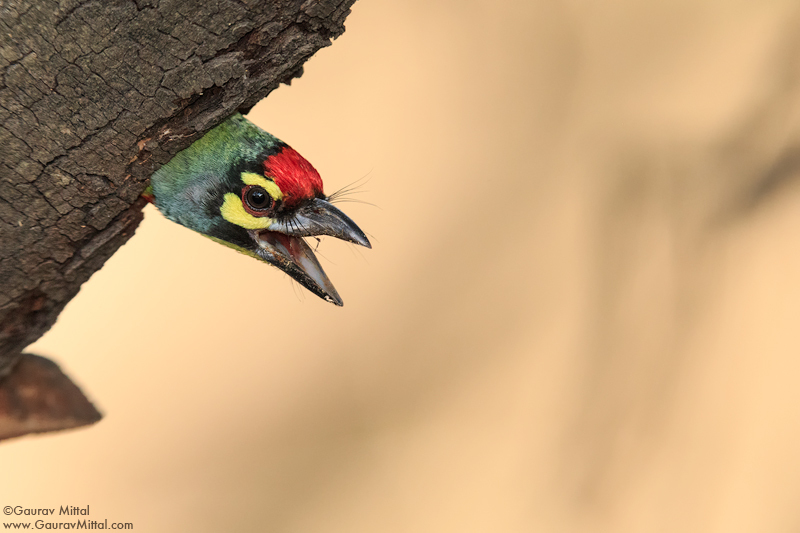 By simply moving slightly to the left, I was able to bring in some tree branches in the distance, behind the Coppersmith barbet. Avoid Blue Skies – Unless there is a spectacular aerial fight happening between some birds, generally avoid the friendly blue skies. 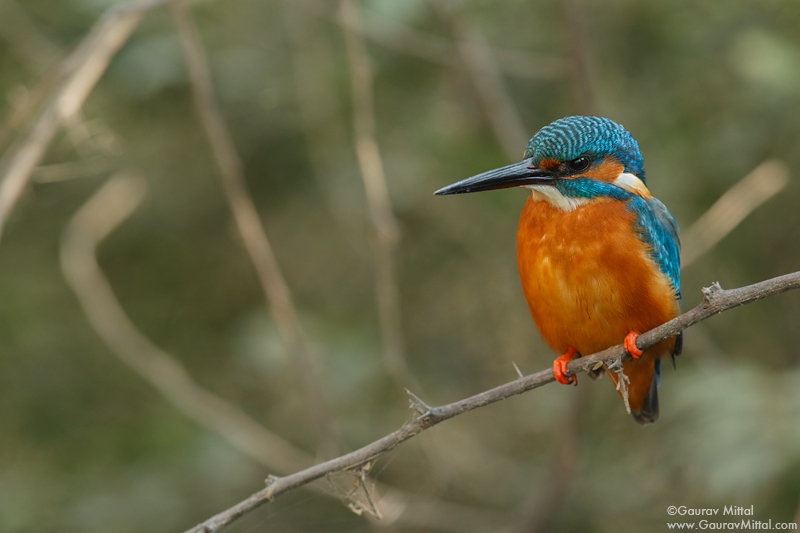 It is much more appealing to show the bird in its habitat, it tells a story about the birds life and where it spends its time hunting or feeding. 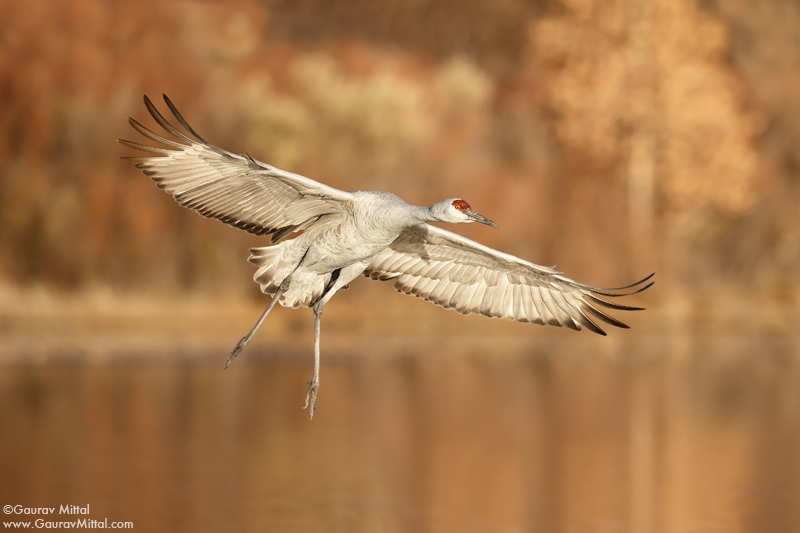 In the image above, I was tracking the Sandhill crane in the sky, as it was coming into land I waited till it was low enough so the background included the surroundings in which these birds are found, I then pressed the shutter. In Conclusion – It is extremely important to keep in mind that when photographing birds, the background is just as important. The background complements the bird and accentuates its beauty as well as helps tell the story. 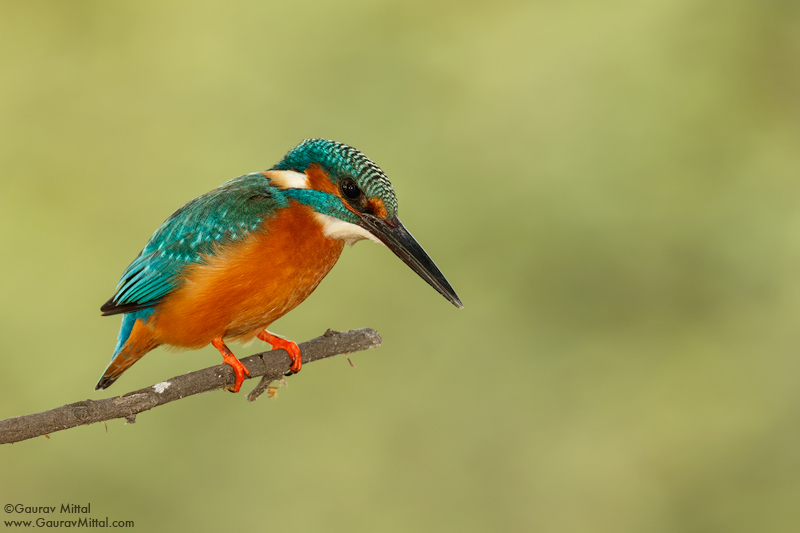 Before you press the shutter next time, pay attention to the background and think how it will impact your bird images. I have recently stumbled across your website and watched it with awe. While reading through your blog postings I got concerned reading on your poor health conditions, but I hope you are doing better now given that you are still blogging. I sincerely wish that you continue your great work for many more years to come.